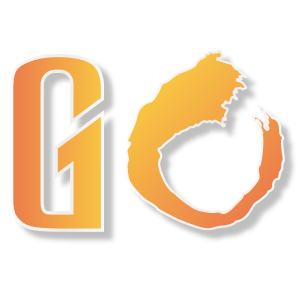 February is usually known for Valentine's Day and President's Day, but for me it is the start of Con season on the East coast. To start things off I attended the annual NY Toy Fair at the Jacob Javits Center in NYC. 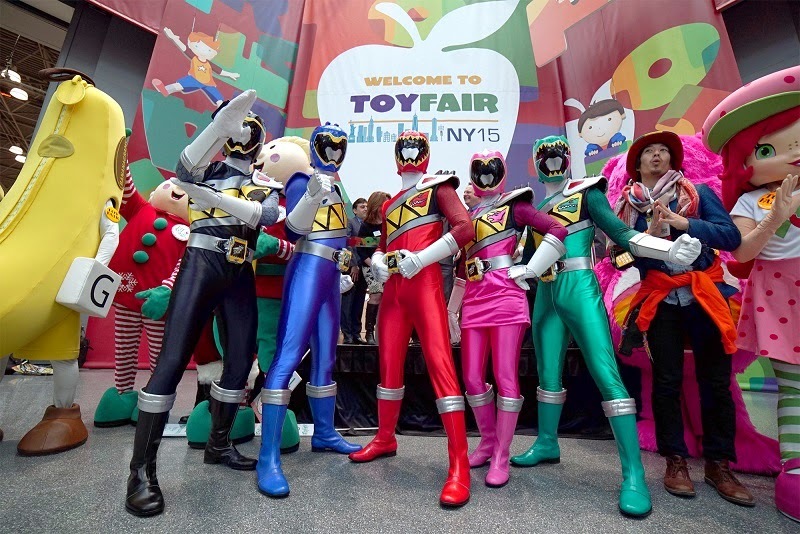 This year's Toy Fair was different; Instead of starting during the week, it kicked things off on the weekend of Valentine's Day. Which was perfect me because of my day job, well night job really. So of course now that it was on a Saturday the place was packed, but being that this was more of a business convention it wasn't that bad. 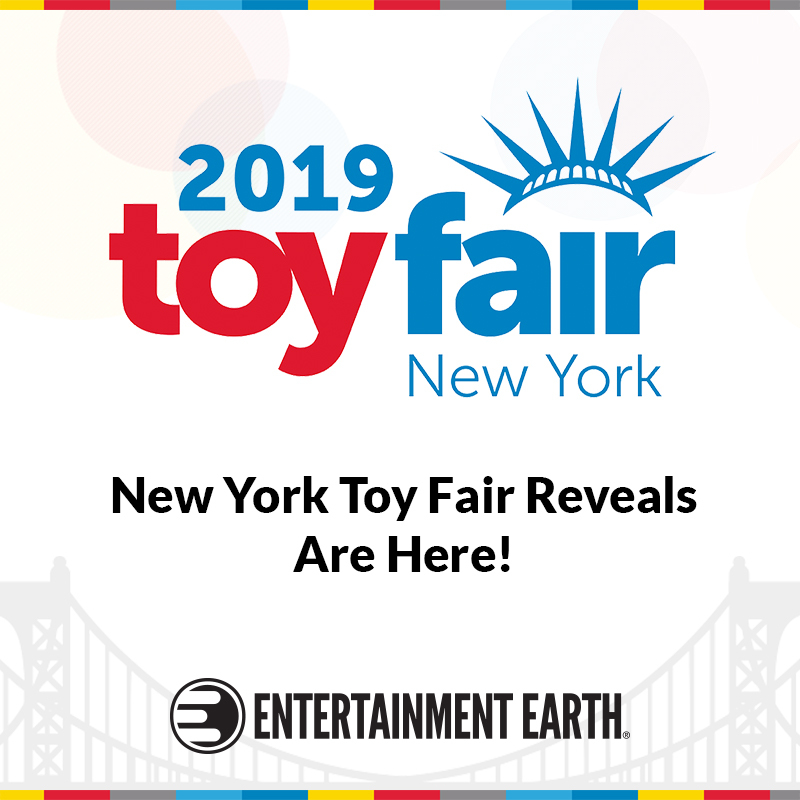 The start time of Toy Fair was 9am, so if you wanted to be the first one to post all the new and exclusive things, you had to be there at the opening. Prior to Toy fair, I spent most of my time making appointments with certain companies so I could get in on seeing some of the things that you couldn't see just by walking by the booths, plus it helps with getting more detailed information on what they have planned for the coming year. As a blogger Toy Fair makes it really easy to diversify your blog. 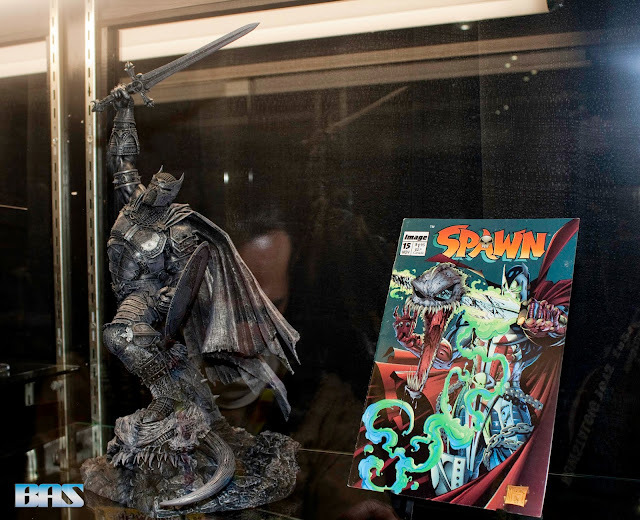 While I am a big comic book and anime person who's into action figures, it is always amazing to see what is out there for parents and children especially since a lot of my friends/family are either getting married or having kids. It's also amazing to see that some of these toys have won multiple awards and at the same time aren't always readily available at the local Toys R Us. While I was only able to visit Toy Fair for only Saturday and Sunday, it was as incredible as ever. If I could go all four days I'd be writing book instead of just blogging about it. 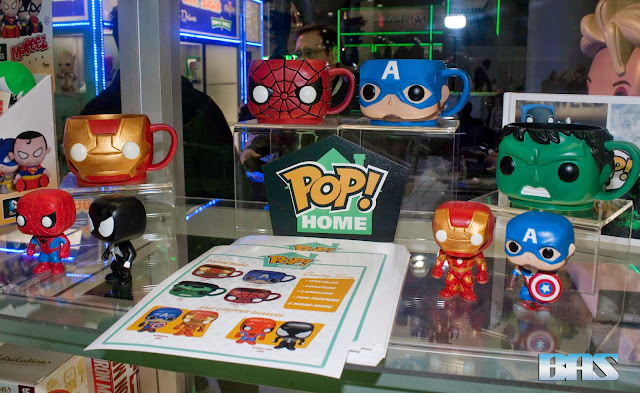 The hardest part of Toy Fair is keeping track of which company has the license to certain properties in terms of movies, TV shows, and comic books/anime characters. So you tend forget about the major companies that those characters/shows belong to and like me forget to visit or make an appointment with them. 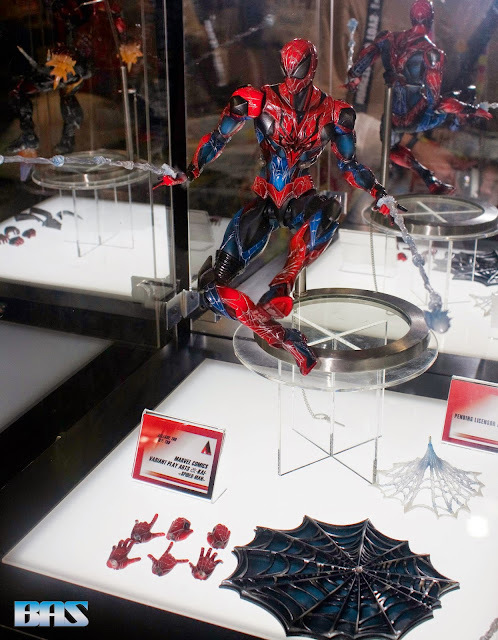 My biggest regret was not being able to visit the Mattel booth. But since there were so many booths to visit, my days were completely filled. The only booth, well building, I did not visit was Hasbro because their whole set up was offsite about a block away. From the instagram photos and the swag from other attendees it would have been worth the trip. But as I said I had plenty to keep me occupied and impressed throughout the entire weekend. My first official stop at Toy Fair was the NECA booth. 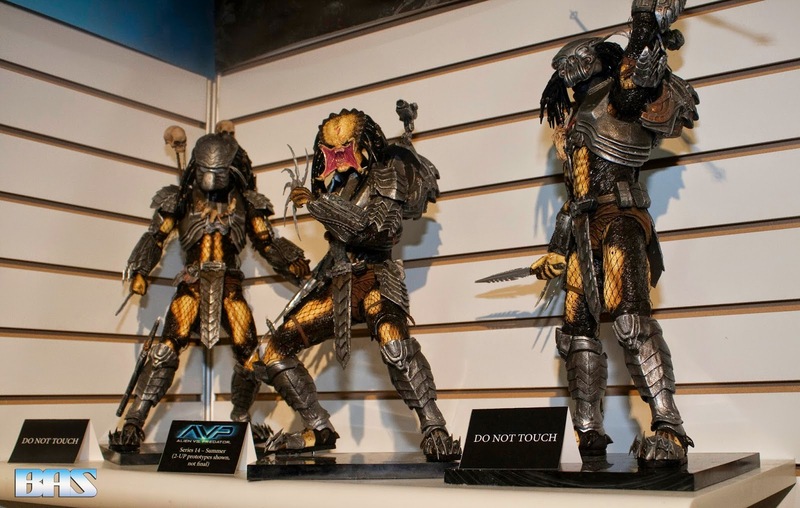 WIth extensive licences in movies, TV, Video Games, and Pop culture, the NECA booth is always a great first stop. For fans of Aliens or Predators expect a lot this summer with 6-12in figures. 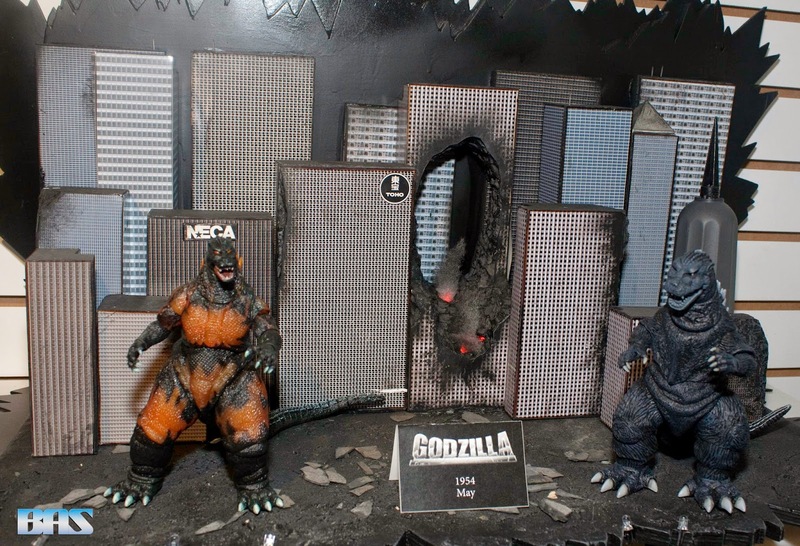 Other retro figures coming down line included Godzilla, Planet of the Apes. Surprisingly even more merchandise from the hit Pacific Rim movie is coming out soon. Expect not only 6-12in toys, but also stationary, backpacks, school supplies, etc. 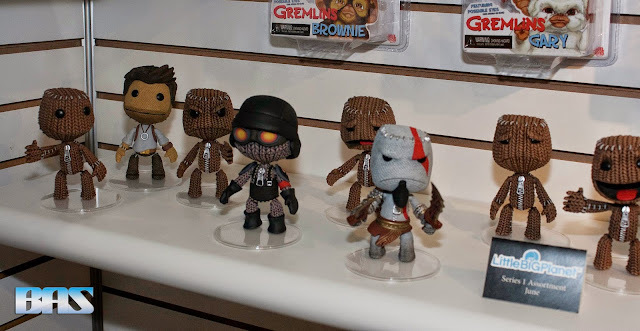 Sack boy from little big planet has been going through some costume changes in his toy line including costumes like Nathan Drake from "UnCharted" and Kratos from "God of War" which comes with the blades of chaos. 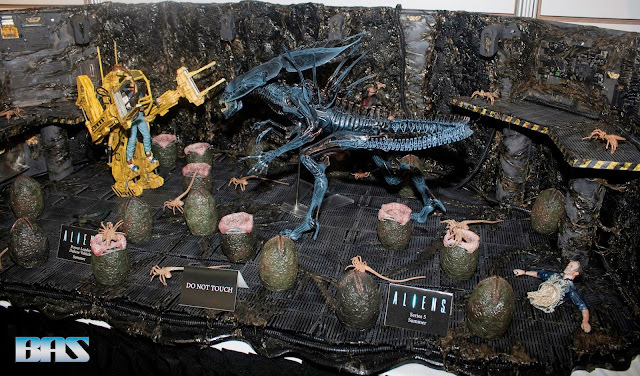 Also sharing the booth with NECA was KidRobot. While their NY store may have closed for now, they are still going strong in LA and Las Vegas. There are no immediate plans to return to NYC, but things can always change. 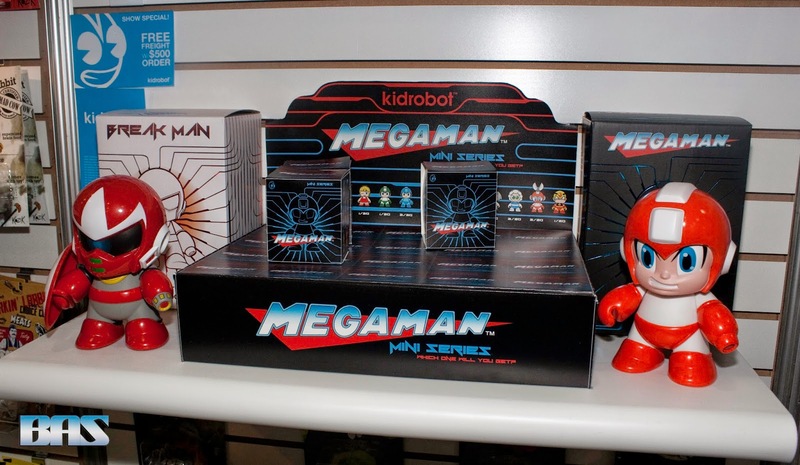 KidRobot was proud to display their newest addition MegaMan. The MegaMan line will include small blindbox figures as well as 7in figures of MegaMan and ProtoMan in various colors. The best highlight at Toy Fair was McFarlane Toys simply because I got to meet the man himself, Todd McFarlane, for the first time ever and just talk with him a bit. We didn't talk about anything in particular, but getting to meet him in person was a great highlight. Unveiled at his Toy Fair booth was the continuation of the WWE series of statues, this time featuring Triple H and Stone Cold Steve Austin. His "Spawn" series will be releasing a statue featuring Medieval Spawn. For now the statue is unpainted, but the detail looks incredible as always. 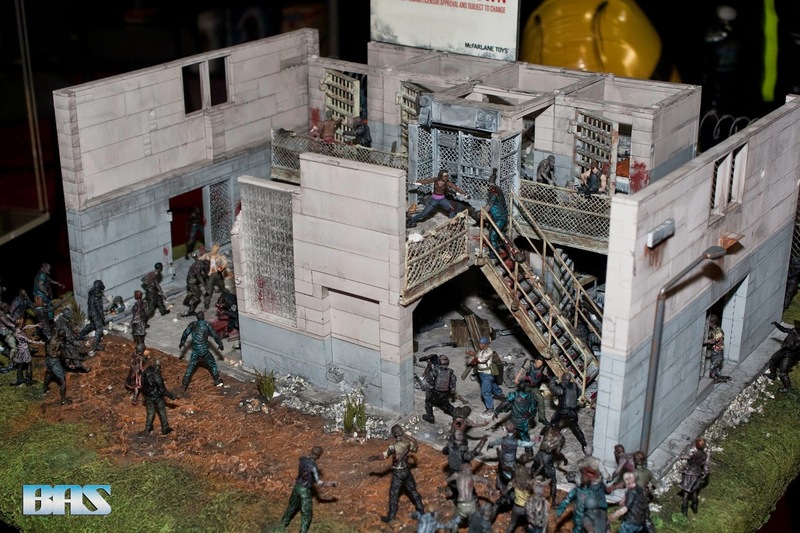 And for fans of miniatures and zombies, McFarlane brings you "The Walking Dead" miniatures and sets from the TV show. So if you into creating scenes from the show, the comic, or just doing your own thing you'll have a lot of free reign with these. 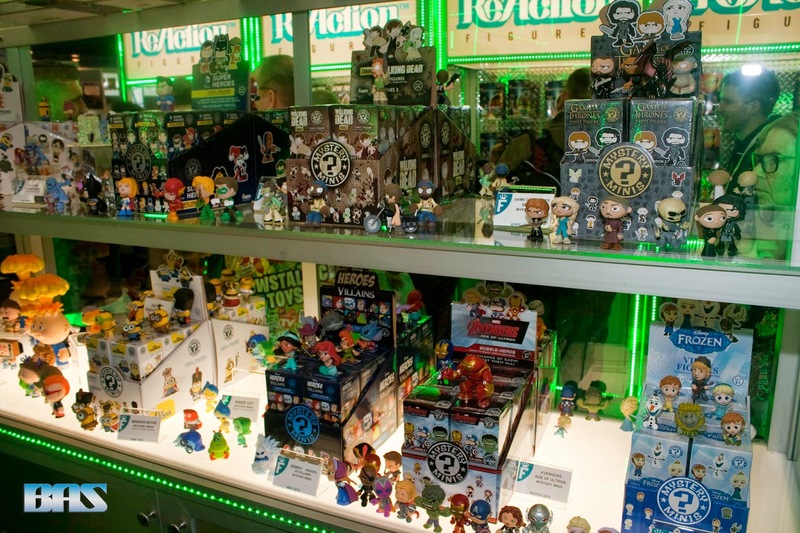 A favorite at every Toy Fair is the Funko booth. The ever growing collection at Funko continues to amaze me. The amount on licenses Funko has just continues to grow, making more and more characters available by the day. Whether your taste lay in the present or in the past, they have something for everyone. They have a new line of mystery mini figures that includes characters from Disney, Minions, Ninja Turtles, comic books and TV characters. Some of the newer POP! figures included characters from the hit DC Comics TV shows "The Flash" and "Arrow". Funko has been doing a lot more anime figures including anime such as "Black Butler", "Attack on Titan", "DBZ", and characters from Vocaloid. With that in mind we can hope to see even more anime figures from Funko in the near future. One of their newest items on display was their new line of housewares named POP! Home. So far the line includes mugs and salt & pepper shakers. 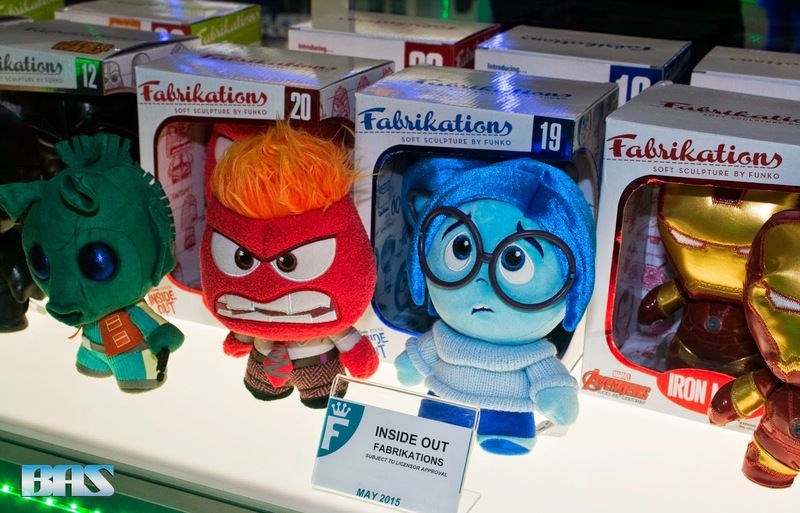 From their Fabrications line come characters from the upcoming Disney/Pixar animated movie "Inside Out". The characters on display were Anger played by comedian Lewis Black and Sadness played by actress Phyllis Smith. 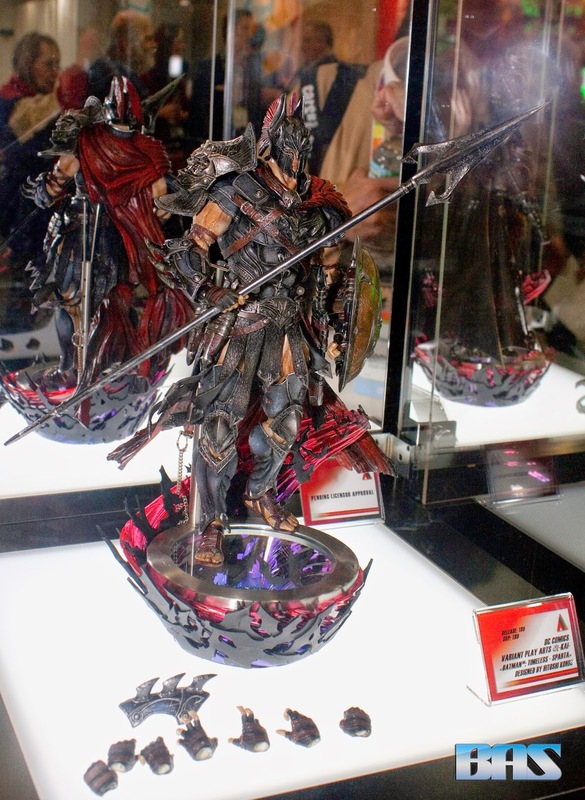 My top five of favorite booths to visit because they always have something new on display was Square Enix. Mainly because they always have something new going on with DC Comics and this year was no different. 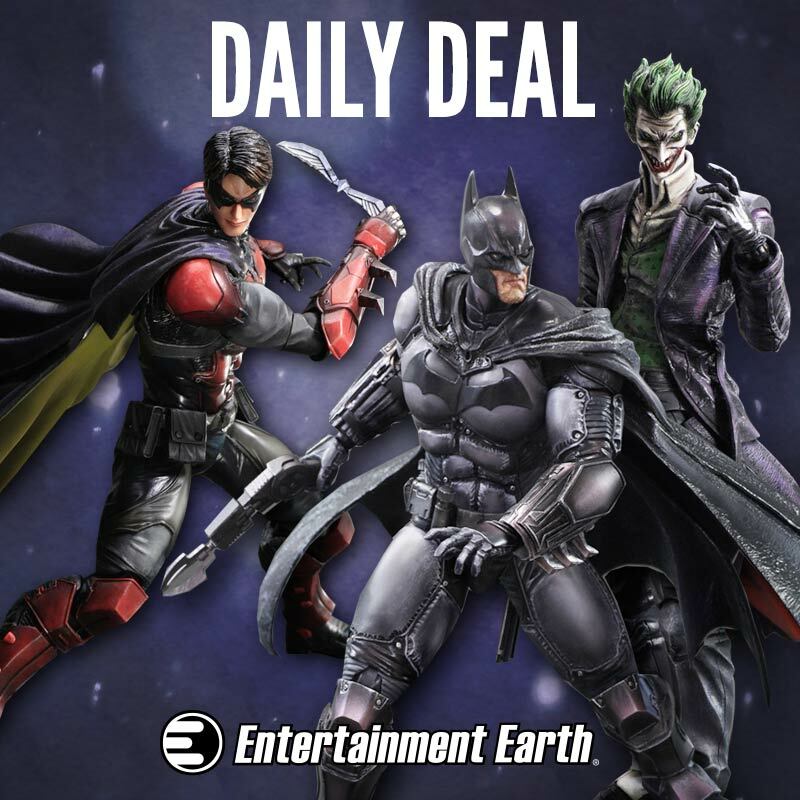 Their latest line of figures coming soon are the Batman "Timeless" figures. 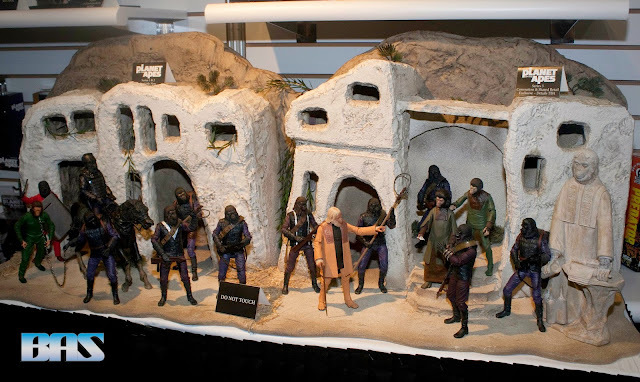 Each figure representing a different era in time ranging from Gladiators, Samurai, and even the Wild West Batman. I assume it's based on the pre-New 52 storyline where Batman had died but was really sent back in time by Darkseid and went through various versions of himself before returning back to his own time. My favorite out of that line is the Bushido Batman just because the combination of Batman and Samurai is just incredibly done. I am really hoping for a color variation for this one in particular. 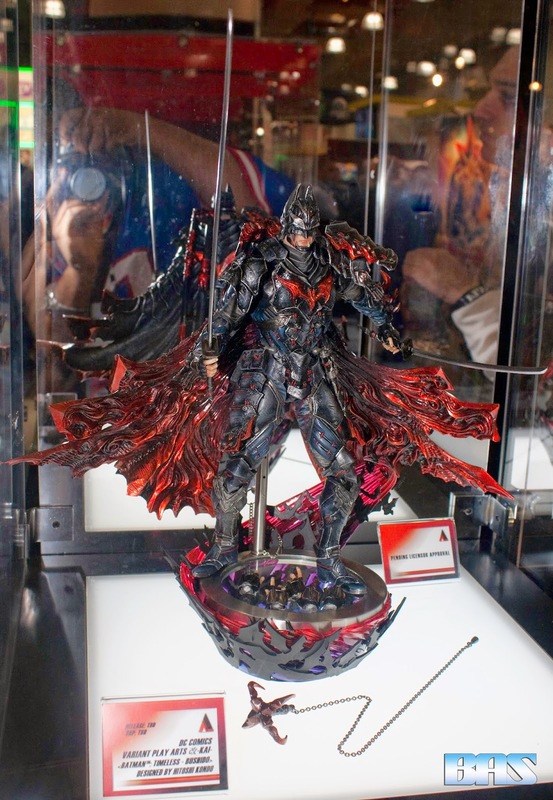 Of course coming down line by next year unfortunately, are the Arkham Knight figures which feature Batman, Arkham Knight, and Harley Quinn so far. 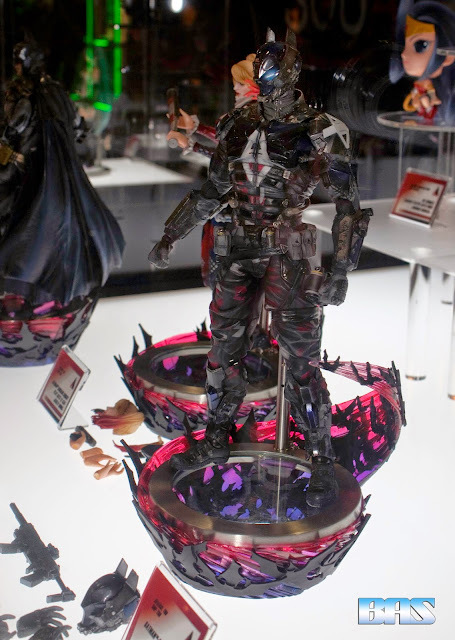 The real news that probably has everyone buzzing is the fact that Marvel has finally teamed up with Square Enix to get their characters the Play Arts Kai treatment. 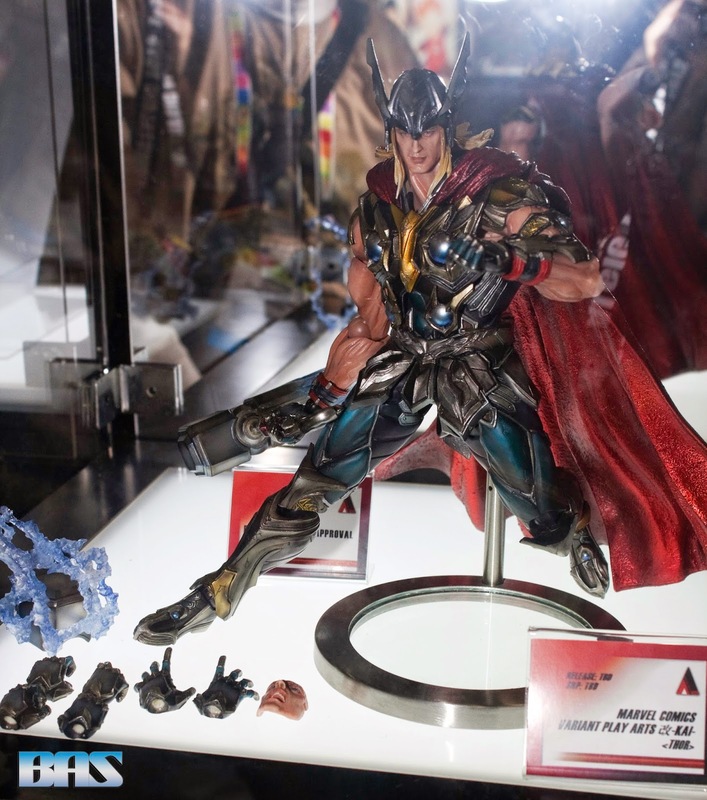 So far characters that were done and official so far were Thor, Iron Man, and Spiderman. 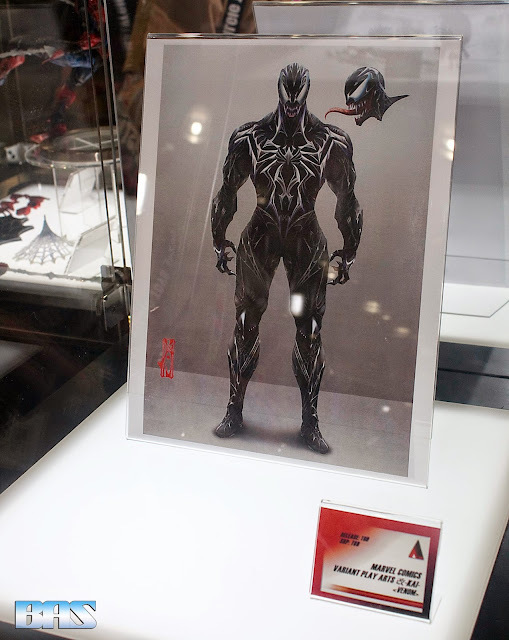 Art work for Venom was put up in place of an actual figure, more than likely either a prototype has not yet been approved or was not able to be made in time; Usually they would just have an uncolored figure. Mezco has been continuing to grow and expand current and new figure lines. 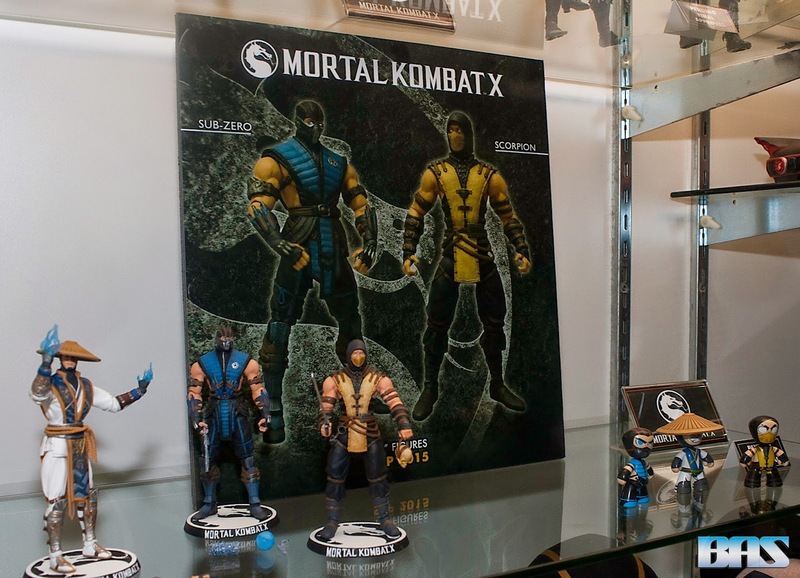 Hopefully in time with the release of the their latest game comes Mortal Kombat X figures. 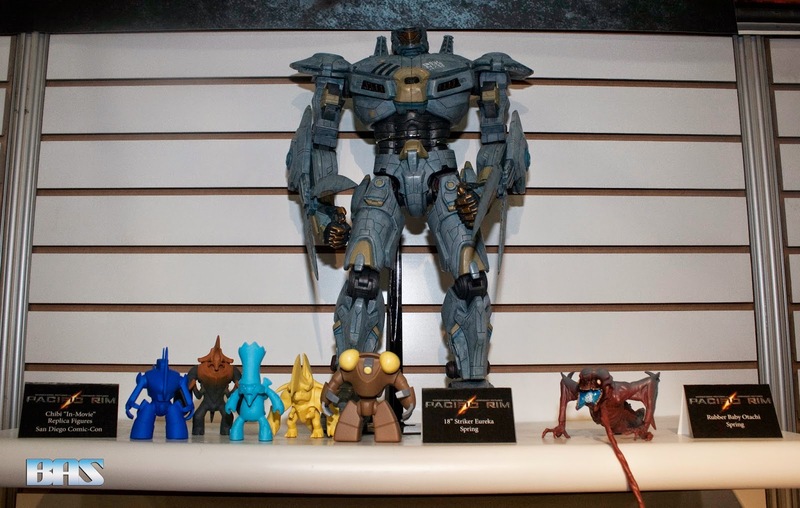 So far Raiden, Sub-Zero, Scorpion, Kitana, Quan Chi, and Kotal Kan have been displayed and are set to be released. Figures range from 6in to minis, bobble heads, and plush dolls. While shows like "Sons of Anarchy" "Breaking Bad" has come to end, Mezco is still putting out some great stuff for those series. And of course Mezco jumped on the "Better Call Saul" train and will be coming out 2 bobble head figures featuring the main character. 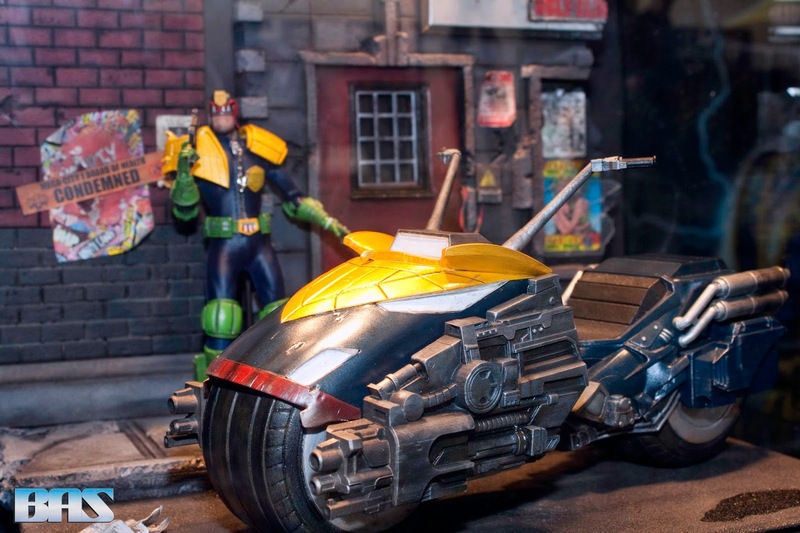 For "Judge Dredd" fans, coming out later this year will be a Judge Dredd Figure based on the iconic comic book along with his motorcycle. Working closely with Rebellion and comic book artist Ben Willsher to design the most accurate figure possible based on the character's current look. More Thundercats are on the way. Along with Lion-O, Cheetara, Panthro, and Mumm-Ra comes Tygra. 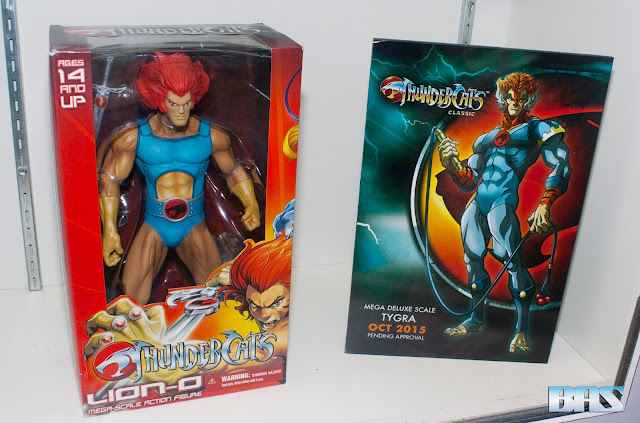 Tygra will a 14in figure with 8 points of articulation, just like the previously released ThunderCats. Tygra may not be the final character to be released in this line. Mezco is hoping to release other characters and villains as well, but WilyKit & WileyKat are for sure coming soon.